Hill was born in New York City, New York to painter and engraver John William Hill and his wife, Catherine Smith. He moved to West Nyack with his family when he was eight years old. After attending high school, Hill graduated from Rutgers University in 1859. In 1861 he was hired by John Daniel Runkle at the Nautical Almanac Office in Cambridge, Massachusetts. His work focused on the mathematics describing the three-body problem, later the four-body problem, to calculate the orbits of the Moon around the Earth, as well as that of planets around the Sun. 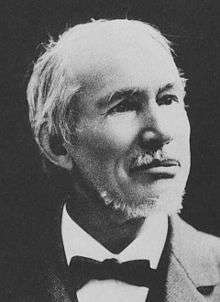 He became president of the American Mathematical Society in 1894, serving for two years. He was elected to the Royal Society of Edinburgh in 1908, as well as to the academies of Belgium (1909), Christiania (1910), Sweden (1913), the Netherlands (1914) among others. Hill died in West Nyack, New York. He never married and had no children. ↑ "G.W. Hill (1838 - 1914)". Royal Netherlands Academy of Arts and Sciences. Retrieved 21 July 2015.